For the eighth installment of Don’t Take Pictures’ recommended reading, I have compiled a Winter reading list for all of you arts readers looking for something to read by the fire or add to your holiday wish list. I have chosen to limit this list to printed books and not include online content or periodicals. I have read each book on this list, and selected titles that I have found helpful in my own art and business practices. This list is not intended to be a review of each book, nor is it focused on new releases, as there are so many great books that remain relevant today. Acclaimed landscape photographer Robert Adams is also a well-respected writer on photography. 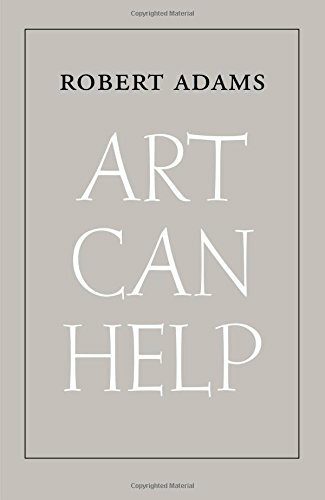 This slim volume contains many never-before-published musings on the purpose of art and the responsibility of the artist. In his accessible yet eloquent writing style, Adams’ micro essays discuss photography that is beautiful without relying on sentiment as well as contemplations on one or two works by an individual artist. Moving away from traditional collections of essays, I recommend this gem by one of the Victorian Era’s most prominent writers. This short book centers around the idea that criticism is itself an art. In true Oscar Wilde fashion, this argument is written in dialogue between two men sitting in a drawing room. Regarded by many as one of the most compelling critical dialogues ever published, the book explores many ideas related to criticism including the definition and value of a critic. Grundberg’s classic collection of writings on photography is a great introduction to post-modern photographers. Despite the complex subject matter, the writing is clear and engaging as the author questions our perceptions of photography in the media and as an art. Poet and photographer Andrew Seguin delves the life of Nicéphore Niépce in a collection of poems that explore how the invention of photography was also an invention of language. The poems about chemistry, dialogue, and Niépce’s life serve as metaphors for how we think and see today. A beautiful collection, the book was the winner of the Omnidawn Open Poetry Prize and is illustrated with cyanotypes by the author. Part memoir, part photobook, and part photographic theory, this book is in a category of its own. Durant’s captivating essays are deeply personal, like his pre-teen encounters with adult magazines, yet universally relatable. Each prose-style essay is illustrated with a diverse range of images from family snapshots to concert photographs to works by legendary photographers. I highly recommend this book for anyone who has ever been moved by a still image. If you are feeling uninspired, looking to try something new, or in need of a teaching tool, consider this book. Fulford and Halpern have put together a diverse and engaging collection of photography assignments, as well as stories and anecdotes from notable photography figures including Susan Meiselas, Tim Walker, Stephen Shore, and more. For more recommended reading, see past recommended reading posts.